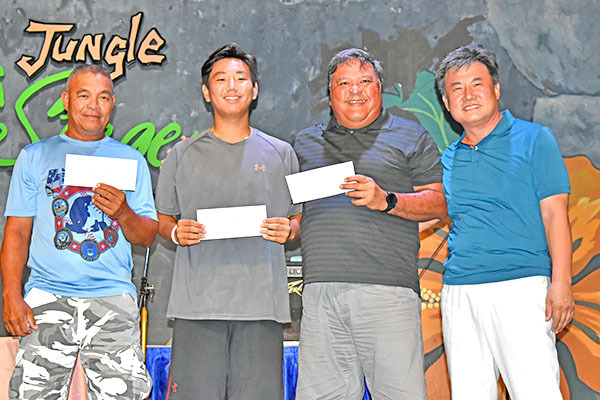 Pacific Games-bound Joe “Kamikaze” Camacho shot a 3-under par 69 to win the low gross category, while Ed Tenorio topped the low net division in the 2019 Korean Community of Saipan Golf Classic held on the east course of the Laolao Bay Golf & Resort last Saturday. Camacho, who will be representing the CNMI in the 2019 Pacific Games in Apia, Samoa this summer, carded a 1-under par on the front nines and had two birdies in the first nine holes to get himself in a good position to rule the strong 144-player field. He then capped the competition with three birdies on the back nine for an even better 2-under par and a two-stroke victory over J.J. Atalig. Despite besting the more than 100 players in the weekend tournament, Camacho said he still needs more work on his game, as he and the rest of the Pacific Games-bound team get ready for the Pacific Games in July. He added that he could have recorded a better gross score if not for fatigue, as he worked since 6:30am in the morning and then after his shift, he quickly joined the tournament that started at 12:30pm. 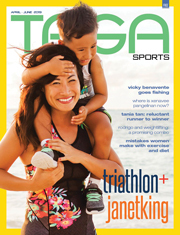 “We will continue our regular practice and push ourselves harder, as the Pacific Games gets closer,” said the Laolao Bay Golf & Resort pro instructor. Camacho won $500 and got an extra $200 for his closest to the pin shot on No. 15. Tenorio went home with $500, too for registering the lowest net (68) in the double-peoria event. The 12-handicapper fired a 41 on the front and 39 on the back for a gross 80. Joining him on the Top 3 and winning $300 and $200 were Young Cheon Kim and junior golfer and Camacho’s teammate on the CNMI National Team, Edward Lee. Kim had a 25.20 handicap and posted a gross 94 (45 and 49) for a net 68.80. Lee, on the other hand, logged a net 69.20 after tallying a 4.48 handicap and shooting a 41 and 33 on the front and back nines, respectively, for a gross 74. Besides the Top 3 low net winners and best gross, the organizing Korean Community of Saipan also handed prizes to the No. 13, 23, 33, 43, 53, 63, and 73 finishers. The winners were Eun Ae Jang, Thompson Palik, Chris Leon Guerrero, Jin Kyu Hong, Hean Song Jung, Jong Wan Won, and Jae Yoon Cha. In the closest to the pin contest, other winners were Jay Kim (No. 6) and Byung Hyun Park (No. 11), while Pat Kaipat had the longest drive at No. 18 with 315 yards. Meanwhile, Korean Community of Saipan president Neung Sik Chang thanked all the golfers and the sponsors who supported the tournament. 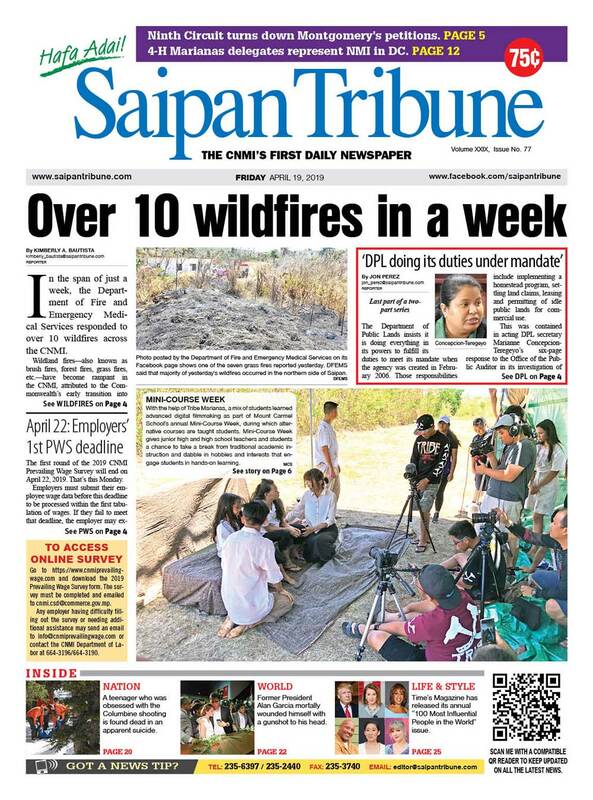 He added that part of the proceeds from the fundraiser will be used to bring local students to Korea for cultural exchange programs, while others will support their community projects on Saipan.